There are a number of benefits to having a new metal roof installed on your Berlin, MA home. Metal is an ideal choice for roofing material; here are some of the many advantages of choosing to have a new metal roof installed on your Berlin, MA home. Lifespan: In the New England area it is common for an asphalt shingle roof to suffer from cracking, rotting, splitting, and lifting that requires replacing every 10 to 15 years, sometimes sooner if the roof is low pitched. A metal roof on the other hand features a lifespan of 50 years of longer, meaning it will last 3 to 4 times longer than a traditional asphalt shingle roof. 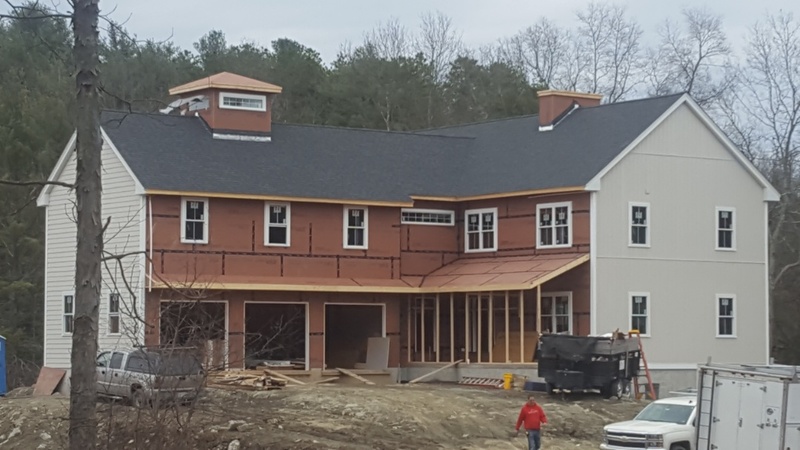 Your new metal roof very well may be the last roof you ever install on your Berlin, MA home! Aesthetic Appeal: A new metal roof is a great way to improve your homes curb appeal! Aluminum metal shake and shingle roofing offers the same traditional look as asphalt shingles without the maintenance and damage that typically occurs with asphalt roofing. If you would prefer a more clean and modern design, aluminum standing seam metal roofing features continuous runs for the ridge to the eaves that create a sleek, strong, and watertight roofing surface. Add unique flair to the profile of your home with a custom fabricated copper or zinc metal roof. Copper and zinc metal roofing develop an eye-catching patina over time that adds a distinct look to your home! Energy Efficiency: Metal is one of the most energy efficient roofing material available. This incredibly energy efficiency is thanks to the special ENERGY STAR®-compliant finish applied to the metal. This finish helps to keep your home cooler by increasing the reflectance solar radiation. Since more solar radiation is re-emitted your roof temperature stays cooler, leading to a decrease in cooling costs during warm months of up to 40%. Classic Metal Roofs is a proud to offer a wealth of knowledge and expertise in the metal roofing industry. Contact us today with any metal roofing questions you may have by calling (866) 303-2002 or fill out our online form for a free quote. New construction for this moder n farmhouse. Looking for standing seam.